The story of war is local as much as it is global. 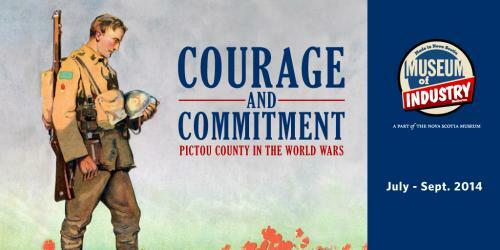 Highlighting the local experience of our home county of Pictou, our summer exhibit offers a sampling of artifacts and stories of citizens, shining a spotlight on military, industrial, community and personal contributions to the two world wars. “The Breed of Manly Men”. 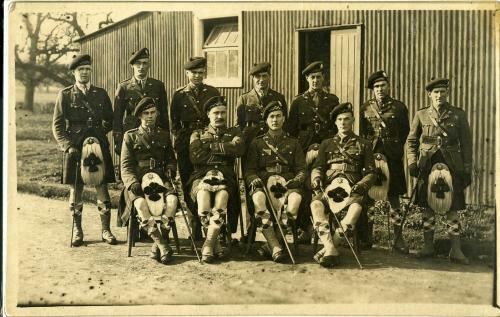 Postcard of the Officers of the Highland Brigade, World War I. On loan from the Army Museum Halifax Citadel." 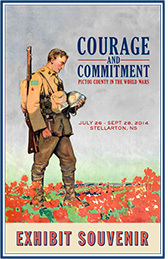 To commemorate the 100th anniversary of the start of World War I and the 75th anniversary of the beginning of World War II, we have brought together objects from community, provincial, and national museums, community organizations and the private collections of several generous local residents. Many of these items have never been seen by the public before. 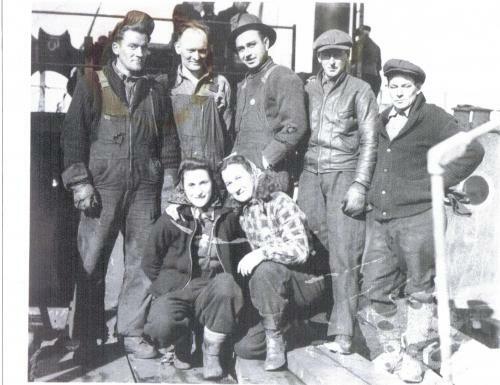 Rivet Crew, Pictou Shipyard, 1940. Courtesy of a private collection. Some stories, such as the impressive production of the area’s coal mines, steel mill, and shipyard, may be unique to Pictou County. 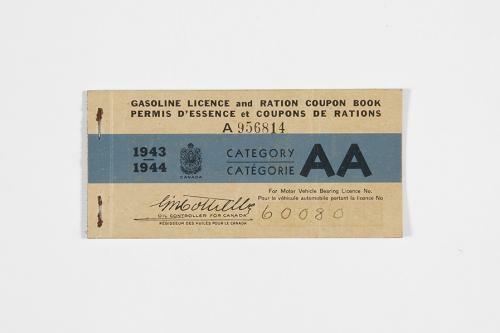 Others, of military bravery and leadership, heartache and sacrifice, but also of some liberating good times, may evoke the wartime memories of Nova Scotians and others who lived through or know those challenging times.